Wedding season is almost upon us, which means lots of dressing up (and sometimes parading around in even fancier dresses as part of an elite crew for a day known as “the bridal party”. Of course, this is all really a very convenient excuse to go shopping and spend an entire paycheck on a beautiful, shiny new outfit. Check out the top picks below, from any style and price range, to fit any wedding (and most other spring and summer occasions…). Continue to view more after the jump! It’s amazing how self-aware we become when a camera is pointed at us. Suddenly, your arms seem like they’re 5 feet long, and what did you ever do with them before? These awkward hands? Why didn’t I pay more attention in Top Model when Tyra was explaining how to smize?! 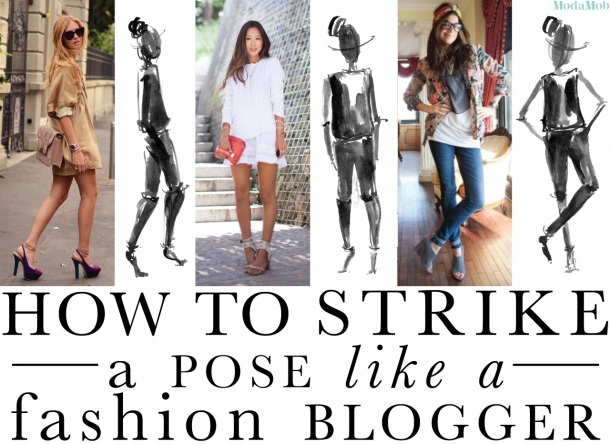 Luckily for you, ModaMob analyzed 7 of the top street style bloggers, and their signature ways they like to strike a pose. Take some inspiration from them, and soon, you’ll be comfortable enough in front of the camera to find your own unique style. The Man Repeller: The key here is not to look like you’re having fun, but to actually be having fun. The Song of Style: This one’s all about legs. Turn slightly and lock your knees. Easy peasy. 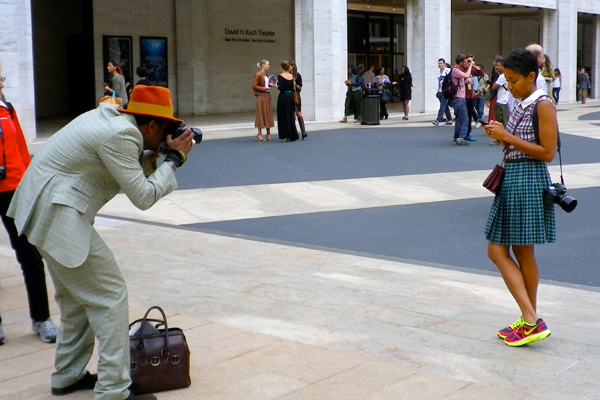 The Fashion Toast: A great one if you’re camera shy – just tilt your head down and play it cool. The Blonde Salad: Keep your body loose or else this one can look extremely pose-y. The Style Bubble: Having an awkward moment? Go with it! Gabi Fresh: This one’s our favorite; it’s not about what angle makes you look slimmer or taller. It’s about working it, plain and simple. The Anna Dello Russo: You’re a rare bird of fashion, act like it. Do you have any signature, go-to poses? Which of these are your favorite?